Everyone is familiar with the mythic Greek centaur, but we invite you to meet Santaur. 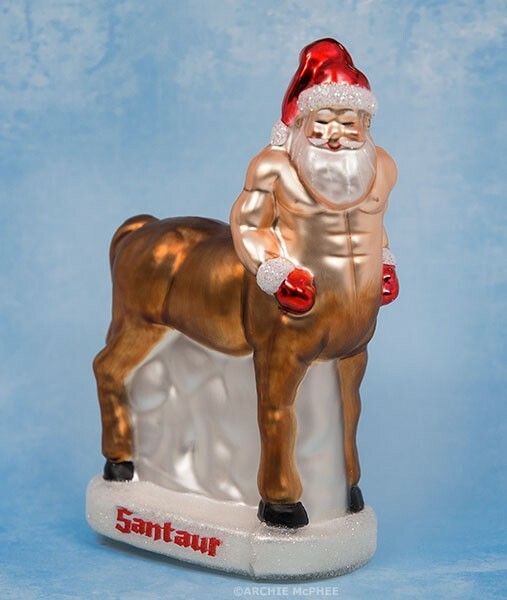 Santaur is a bare-chested, half-horse half-Santa who travels around the globe on Christmas Eve without needing any reindeer! This 6″ tall glass ornament commands attention on your tree. Probably will be described as weird by all your relatives, but you can be confident that it’s really awesome no matter what they think. It can hang by the included string or stand on its own in the middle of the dinner table as a centerpiece. 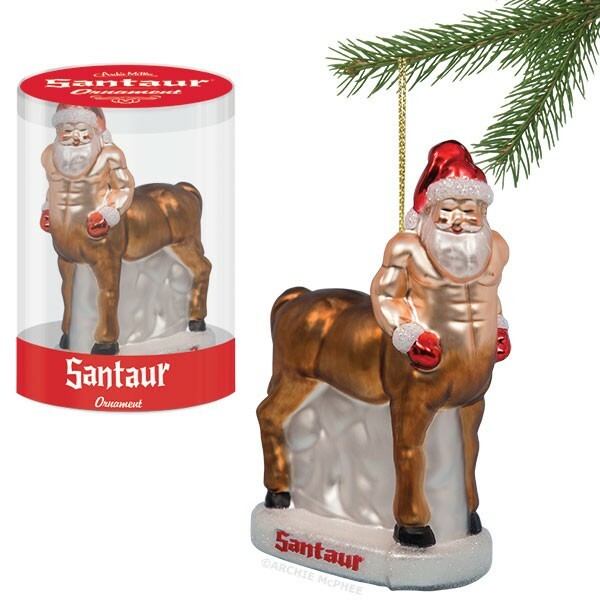 On Christmas Eve, don’t leave Santa milk and cookies, leave Santaur a carrot and a sugar cube.